“26. Complaints against Police Officers not to be referred to the Police:- A complaint against a Police Officer shall not be referred to by a Magistrate under Section 202 of the Code to any person other than a Magistrate subordinate to him”. In the first place, after the integration of the Magistracy in this State with effect from 01-01-1992 whereby the Courts of the Magistrates of the Second Class were abolished and there exist only the Courts of the Judicial Magistrates of First Class, besides the Courts of the Chief Judicial Magistrates. There is no Magistrate Subordinate to the Judicial Magistrate of the First Class in the State of Kerala from 01-01-1992 on words Hence, Rule 26 may have to be amended suitably. Jessy Jacob (supra) Justice K. Padmanabhan Nair held in Superintendent of Police, CBI v. State of Kerala – 2005 (3) KLT 823 that although at first blush Rule 26 would seem to apply only in cases where the Magistrate proceeds under Section 202 Cr.P.C., the principle thereunder is also applicable to a complaint forwarded to the Police under Section 156 (3) Cr.P.C. at the pre-cognizance stage. (See paragraphs 17 and 19 of the reported decision). “The report filed after completing the investigation under S. 202 of the Code forms part and parcel of the proceedings under S. 202 of the Code. Therefore, the complainant will be having no option to exclude the materials collected during the course of investigation by the police under S. 202 of the Code. Therefore, there will be apprehension in the mind of the complainant that the investigation conducted by the Police will not result in collection of materials against a Police Officer correctly. On the other hand, in the case of an investigation under S. 156 (3) of the Code, the Police is having the power to file final report under S. 173 (2) of the Code. Even if a refer report is filed under S. 173 (2) of the Code, the remedies of the complainant to proceed further will not be exhausted. The complainant can file a protest complaint or to seek the assistance of the Court for further investigation under S. 173 (8) of the Code. In other words, even after filing the final report by the Police, the complainant is having options to get his grievance redressed through the Court of law. However, in the case of investigation under S. 202 of the Code, the remedies of the complainant will be foreclosed, as the materials collected during the course of investigation will form part of the enquiry under S. 202 of the Code. The Court is also not empowered to go back to the pre-cognizance stage, even if a report negating the case of the complainant is submitted by the Police Officer to save his colleague or subordinate, as S. 202 of the Code applies at post-cognizance stage. Therefore, even the powers of the Court will be restricted once a report is received under S. 202 of the Code, as the direction for investigation under Section 202 of the Code is for the purpose of determining “existence of sufficient ground to proceed”. That may be the reason why Rule Committee of the High Court decided to incorporate R. 26 in the Rules that a complaint against a Police officer shall not be referred to by a Magistrate under S. 202 of the Code to any person other than a Magistrate subordinate to him. The Rules Committee of the High Court was well aware of the two provisions empowering the Magistrate to forward the complaint to the Police for Investigation, which are Ss. 156 (3) and 202 (1) of the Code. Even then, the Rules Committee excluded S. 156 (3) of the Code from the purview of R. 26 of the Rules. The said exclusion seems to be not accidental or due to oversight, but was deliberate. Since the provisions of R. 26 exclude S. 156 (3) of the Code from the purview of R. 26, the powers conferred by the Statute on the Magistrate under S. 156 (3) of the Code cannot be taken away under the said Rule. It is true that the heading of R. 26 is a little confusing. However, the provisions of R. 26 are clear and unambiguous that the said provisions are applicable only to the investigation by the Police under S. 202 (1) of the Code. When the provisions are clear and unambiguous, no other interpretation is permissible. Therefore, if any restriction is imposed, in the absence of any provision in the rules, on the powers of the Magistrate under S. 156 (3) of the Code, that will tantamount to curtailing the powers conferred by the Statute without any sanction of law, which is impermissible. 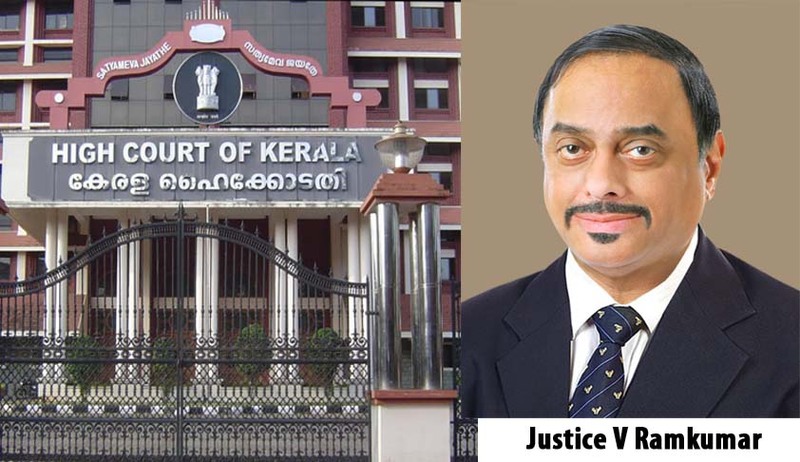 The above aspects were not brought to the notice of the learned Judge when Superintendent of Police, CBI v. State of Kerala (supra) was decided and consequently, the learned Judge had no occasion to go through the said aspects”. Rule Committee and not the “Rules Committee”. It is understood that there is a Rules Committee in the High Court in relation to the High Court Service Rules. But this author is not aware of any Rules Committee for recommending amendments to the Criminal Rules of Practice. Superintendent of CBI v. State of Kerala did not take into consideration the aspects which were highlighted by the learned Judge. In that process, two conflicting views regarding the applicability of Rule 26 have come into existence resulting in confusion in the world of stare decisis. Vide Govt. of A.P. v. A.P. Jaiswal -(2001) 1 SCC 748= AIR 2001 SC 499; Supreme Court Advocates Association v. Union of India – (1993) 4 SCC 441 = AIR 1994 SC 768; Indra Sawhney v. Union of India – 1992 Supp. (3) SCC 217= AIR 1993 SC 477; G.C. Gupta v. N.K.Pandey (1988) 1 SCC 316=AIR 1988 SC 654). No Bench of the High Court can comment on the functioning of a co-ordinate Bench of the same Court, much less, sit in judgment as an appellate Court over its decision. That which could not be done directly could also not be done indirectly. Otherwise, a party aggrieved by an order passed by one Bench of the High Court would be tempted to attempt to get the matter re-opened before another Bench and there would not be any end to such attempts. Besides, it may not be consistent with judicial discipline which must be maintained by Courts both in the interest of administration of justice by assuring the binding nature of an order which becomes final, and the faith of the people in the judiciary. (Vikramajit Singh v. State of M.P. - 1992 Supp. (3) SCC 62 = AIR 1992 SC 474). pecial Deputy Collector (LA) v. N. Vasudeva Rao – AIR 2008 SC 944). The resultant position is that we have one reported decision which says that the embargo under Rule 26 is applicable while forwarding a complaint for investigation both under Section 156 (3) Cr.P.C. as well as under Section 202 Cr.P.C. and another reported decision which says that the interdict under Rule 26 applies only while forwarding the complaint under Section 202 Cr.P.C. and it is not applicable while forwarding the complaint under Section 156 (3) Cr.P.C. Can the option to distinguish between the two interpretations and to adopt the appropriate decision be left to the legal practitioners and the Courts dealing with the matter ?